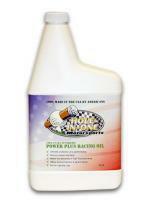 Hole in One Motor Sports True Power Racing oil is formulated from 100 % crystal clear pure, TRUE Group 4 synthetics. We use only the worlds finest Group 4 PAO base stocks that provide extreme stability at high temperatures and superior film strength at lower viscosity, and when exposed to excess fuel dilution. If you have recently been mulling over the thought of switching over to a TRUE synthetic motor oil for trucks or cars, then this article is for you. TRUE Synthetics are fast replacing conventional oils, and so called petroleum synthetics due to their superior properties and versatile nature. 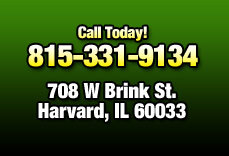 The comparison provided here will help you make a choice for your vehicle. First developed by German scientists during the second world war, TRUE synthetic motor oils were initially used in aviation, and in the last 40 years have been introduced in gas and diesel cars, and trucks. are created from 100% Pure Polyalphaolefin base oil. Their non-crude oil origin helps them overcome problems created by conventional, and petroleum synthetic oils. They are engineered oils to be used as lubricants. Created to be the best lubricant known to man, and to suit the extreme temperature conditions that exist in the truck and car engines. They are not crude oil, pulled from the ground, and adapted to be used as a lubricant. The only factor against these types of oils are their prices which are slightly higher than those for conventional motor oils, but well worth the investment.